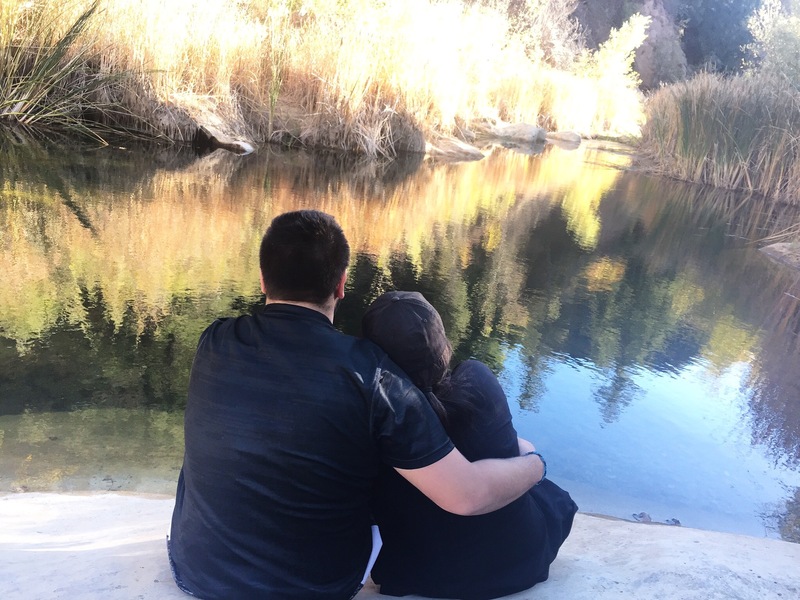 On November 7, 2015, we ventured out into the wilderness that is Ojai. By wilderness, I mean mostly desert with a few trees. We had never been backpacking before so this trip was meant for beginners. Now, some people may think we’re crazy for deciding to backpack in November, and I would say that you are totally right! Our awesome friend, Connor, brought this deal to our attention as something he wanted to do for this birthday, so how could we say no to that? Unfortunately, finding a weekend that worked for everyone was not easy and that’s how we ended up selecting a date in November. but I found the deals to be quick and easy. Everything was very self explanatory and the site was generally easy to use with some additional savings if you bought right away. Our deal can be found here. Another great thing about our deal, was it was buy three, get one free! I would highly recommend checking out Living Social and Groupon for travel deals! It’ll take the planning aspect out of the trip and give you more time to relax. Treks + Tracks hosted this backpacking trip. I was incredibly happy with the services and products provided by Treks + Tracks. We received a packing list the Sunday before our Saturday departure. I was hoping to do any last minute shopping the weekend before the trip, so I wish we would have received it a few days earlier, but it worked out because most items were things I already had. The list was very detailed, including quantities of necessary items. 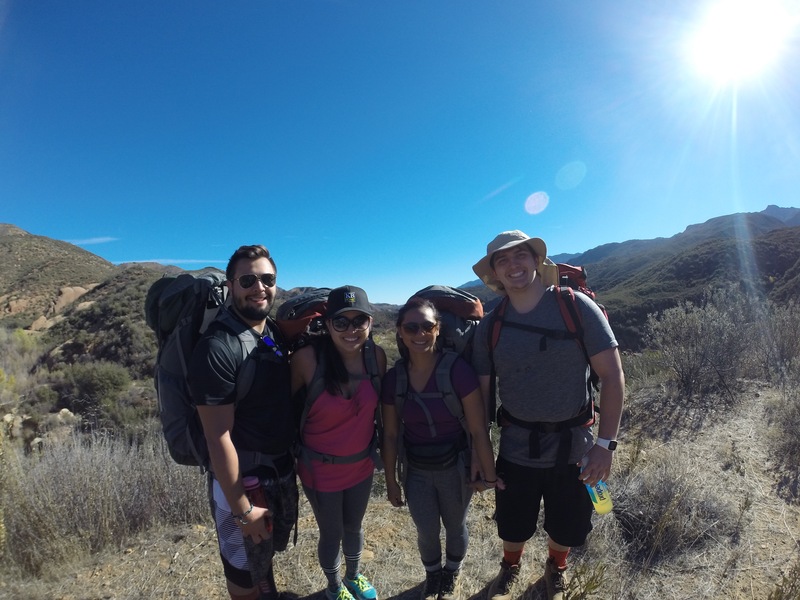 Our guide, Rachel, was incredibly knowledgable about the trail, backpacking and camping. She was a great guide who was obviously experienced in this particular trail. She gave us background information about her experiences and was super easy to talk to. This experience was meant for beginners and Rachel took the appropriate amount of breaks in order for us to feel comfortable. We began at the Piedra Blanca Trailhead near Rose Valley Falls which led us to the Sespe Creek Trail. The Piedra Blanca Trailhead had a pretty large parking lot with an outhouse like toilet. We hiked about 4.5 miles to get to the Bear Creek Campground. We had the option to continue our trek about another two miles, but with an empty campsite, the group decided to stay put and set up camp. According to Rachel, our hike started at about a 4,000 ft elevation and we hiked up about 500 feet. Please follow this list as closely as possible. Do not bring more of extra items than are on the list, there will be no room for them. Remember – the less you bring, the lighter your pack! Footwear – hiking shoes or boots. Running or athletic shoes can be acceptable if you have previously tested them on significant day hikes. Shoes will be one of the most important gear items for this trip. Please do not use any untested / new footwear. If you have any footwear questions, please let us know. The only item I purchased was a headlamp and I was very happy with it. You can find it here. Here was our tentative itinerary for the trip. It took us about 4.5 hours to get to the site from the Piedra Blanca Trailhead and only about 2.5 hours to get back. We took significantly less stops on the way back and made it back at a much faster pace. honestly we split a single cliff bar the entire trip. I would say to bring snacks though just in case. Dinner and breakfast were provided by Treks & Tracks and this was quite the experience for me! 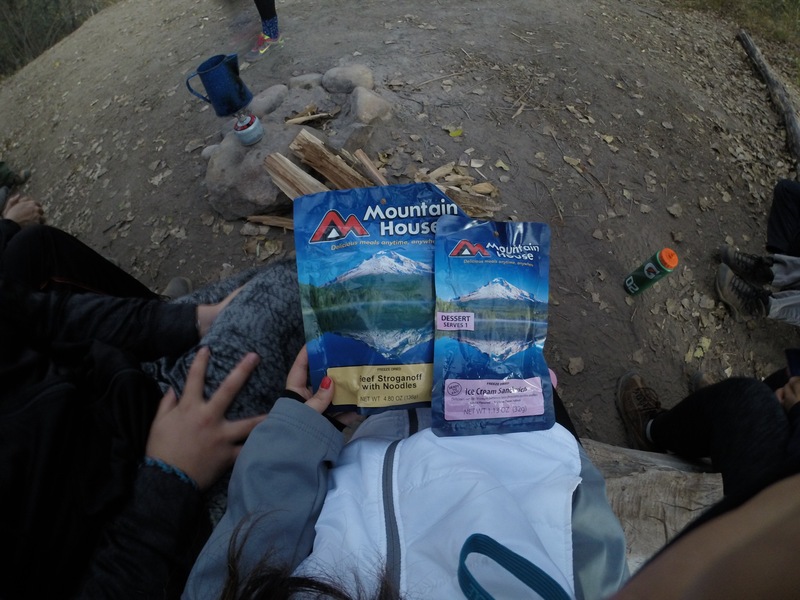 We dined on Mountain House freeze dried food from a pouch. When we initially arrived and packed our bags, Rachel gave us the option to dig through her tub of pouches and decide what we wanted to eat. I went with the Beef Stroganoff with Noodles, Bacon & Eggs, and for dessert, an Ice Cream Sandwich! If you’ve never had freeze dried anything, like me, it is basically a dried meal in a bag, which is pretty self explanatory. You just add boiling water and mix, then close it up and let it sit for 15-20 mins. Now, these pouches were approximately 2.5 servings each and oh boy, were they. I was so full I thought I was going to go into a food coma. The Beef Stroganoff I would highly recommend, and it was Rachel’s favorite too! The Bacon & Eggs were also okay, but our water was unfortunately not as hot as it should have been and the meal was a bit watery. The Ice Cream Sandwich, I’m told, resembled the astronaut ice cream that kids would eat. I’m unfamiliar with it, but I wasn’t a super huge fan of the texture, and I’m all about texture when I’m eating. Overall, I thought the food was actually really good and I would say not to be skeptical of freeze dried meals. Another cool thing that Rachel taught us was how to filter our water! We only had one small kettle, so it wasn’t practical for us to boil all our drinking water. Rachel brought a filter similar to this one. She was able to pump the water out of the small creek and through a ceramic filter. It did have a hint of funky algae taste, but a little bit of water flavoring did the trick! I’m just going to preface this by saying, yes, I am from Southern California and I have always been spoiled with near perfect weather. Ojai is relatively close to where we are, being closer to the beach and the elevation was up much higher. During the day, the temperature reached into the mid-70s, which was ideal for hiking, especially with the massive backpacks we had. I wore a tank top and leggings and felt great. In the evening, it was absolutely freezing! Literally, it was in the low-30s. Layering was an absolute must. Because of the fire danger, we were unable to make a campfire. We only had a tiny gas burner for our food and beverages. Also, because of the major drought we’re in the creeks were all dried up. The picture above shows what little remained. We did hear from other hikers that the hot springs remained though! So little did we know, there was a planned missile testing by the navy. Because there was no campfire and with the time change, it got dark incredibly fast. We were all sitting around with our headlights on around the empty fire pit and suddenly we saw a bright light in the sky! 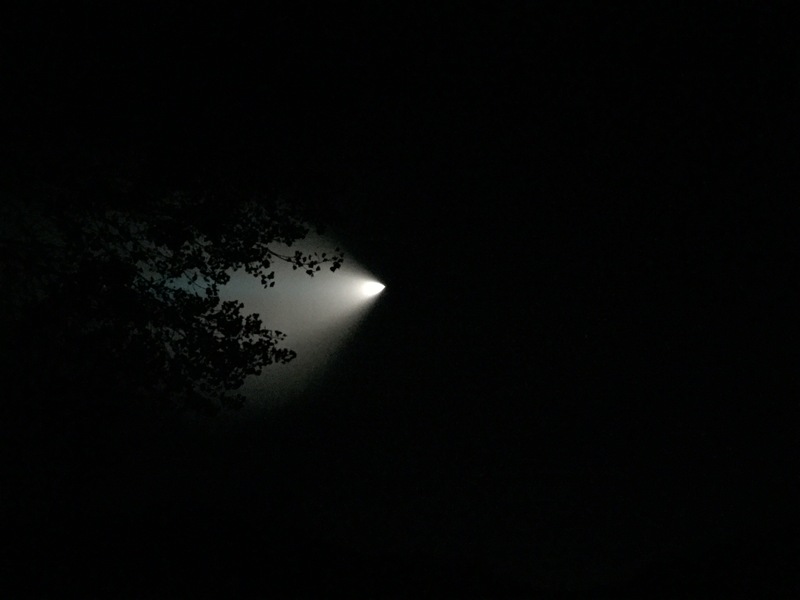 Anyways, it was really awesome to see in the pitch black of night. You can read about it here. Now that he’s created one, you should definitely check out my friend Connor’s blog, Curiously Connor! I mean he had to get his blog title inspiration from somewhere 😉 He’s really funny and his blog posts reflect his personality to a T, which is super entertaining!